The latest application has been submitted to the Canada Council with quite a different approach than has been used so far and, as is often the case, the explanation has become clearer. This is the essential text of the new description of the project. The plan is to bring theatre professionals together to create the staging manual for a Christmas Musical, a kit, that will be made available to all communities, which includes: template documents outlining how to mount the show in a gym, or a meeting hall, not just on stage; karaoke-type files, in case the community has no orchestra; dance scores; plus blueprints for sets, props, and costumes. 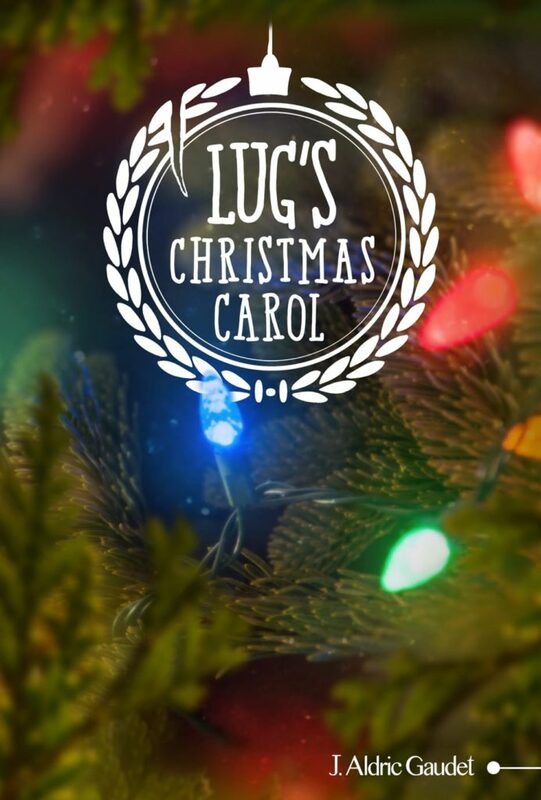 The libretto is based on “Lug’s Christmas Carol” one in a collection of short stories entitled “5 Fables for the Young at Heart” published by Double Dragon Publishing under my pen name J. Aldric Gaudet. The story concerns a Christmas tree decorated with damaged ornaments who became damaged the year before in their successful efforts to save the lives of the family they are part of. As my resume shows, I am a producer, director, and editor as well as the author and playwright. I have published 3 books of Shakespeare, a graphic novel, and the short story collection where “Lug’s Christmas Carol” appears. Theatre has been in my blood ever since elementary school. Even while studying at Ryerson I was the first RTA student to stage a drama in the TV studios rather than a current affairs show for my term project. In my freshman year I was part of the company that took “Little Malcolm and His Struggle Against the Eunuchs” to compete in Ottawa. In my sophomore year I co-produced a blacklight version of “Alice in Wonderland” and used the same text when I directed a Dundas Little Theatre production of “Alice” a few years ago. My TV and Film career as Producer, Director, or Writer has always leaned toward dramatic fiction like the TV series “The Littlest Hobo” or the Feature Film “Baltic Storm”. Theatre being such a comfortable fit it seemed a natural extension to bring my short story to the stage and because the story is about damaged ornaments I was inspired to imagine a musical fantasy which included the disabled as singers and dancers. The goal is to create a safe and friendly environment for those who do not often get a chance to participate in, or experience, the excitement of putting on a show, the ones who usually end up watching from the sidelines. This is a plan for two seasons. Season One, the music is composed and the lyrics written for a live streaming performance of an audio play version of the show with commentators describing what is not seen, as if they were seeing it, adding personal interest stories revealing how the disabled fit into the cast. That recording is made available during the Christmas season of 2017 and becomes a springboard to raise awareness in the performance arts community of the idea of including the disabled in musical theatre. That will serve to attract the rest of the creative artists needed to fulfill the roster for designing the show and overseeing its testing during a prototype production. The show celebrates theatre, encourages the disenfranchised to participate, and showcases local talent. In early September the composer and lyricist will be tasked with a 2 month deadline for words and music. A voice cast will be assembled and the show will be live-streamed as an audio play in early December. The recording will be made available during the Christmas Season to garner interest in the project. A postmortem of the live stream event and its audience response, will indicate whatever adjustments will be necessary for the stage show. The first half of 2018 will be spent contacting and confirming the artists not already affiliated with the project. In August notification will be sent to all artists to prepare to meet in early September to discuss their plans for the project. During the rest of September the artists will collate their contributions, integrate all elements, plan out how to handle participants with physical challenges, and work the dance routines and swing numbers into the design layout with the approval of the Safety Officer. The template will be sent into the Hamilton community to organize its production which will be supervised by the contributing artists. In early October construction will begin on the prototype sets and puppets supervised by the puppeteer and the Set Designer advisors. After the community run closes, the artists will analyze response cards and debrief the project. Each artist will submit their final report and template documents by January 14, 2019 to the Artistic Director who will collate all material to send with the project review. This brings theatre professionals to the community level in order to design a musical celebration that is simple and safe for disabled performers. Experienced and knowledgeable experts will be able to foresee where caution is necessary and avoid pitfalls while creating the template. That way the best creative minds oversee the practicality and safety of the template right through to guiding the prototype production by local amateurs in Hamilton. The artists will be challenged to design a fully flexible inclusive work, to create musical pieces that can safely integrate all ranges of music and dance ability, including choreographing the disabled. Using video screens as an element of the theatrical palette is a natural extension of my TV experience which I also plan to explore more fully. Encouraging the disabled to take part – screens with live puppet close-ups – mixed swing and dance choreography – creating a production template for community use. These are all unprobed areas of artistic expression worth exploring. Even though the intent here is to create something for use by community theatre it is a valid contribution to professional performance arts by exposing the disabled to the joys of the theatre. In a world of competitive para sports why not para song and dance? Sport is not the only sustenance for the human soul. The U of BC study on the impact of paralympic games showed that 23 percent of the employers surveyed said the Games had increased their willingness to hire people with disabilities. Attitudes were changed with familiarity. A community production involves people of all ages, from all segments of the population, who participate voluntarily on equal terms, interacting and co-operating to create one special celebratory event. A parent could be rigging lights or on stage portraying ‘Mr Kelley’ while their child could be portraying ‘Sandra’ or backstage building sets. That is its most satisfying dynamic. Communities that take on this project will, at the very least, understand accessibility needs better. The template will be designed for flexibility to ensure that the production can support itself in box office returns. And, as is traditional in theatre, ornament costumes can be as simple as cast members carrying iconic placards, or as complicated as full body costumes. To have theatre professionals create the staging manual for a Christmas Musical Fantasy which encourages the disabled to participate.